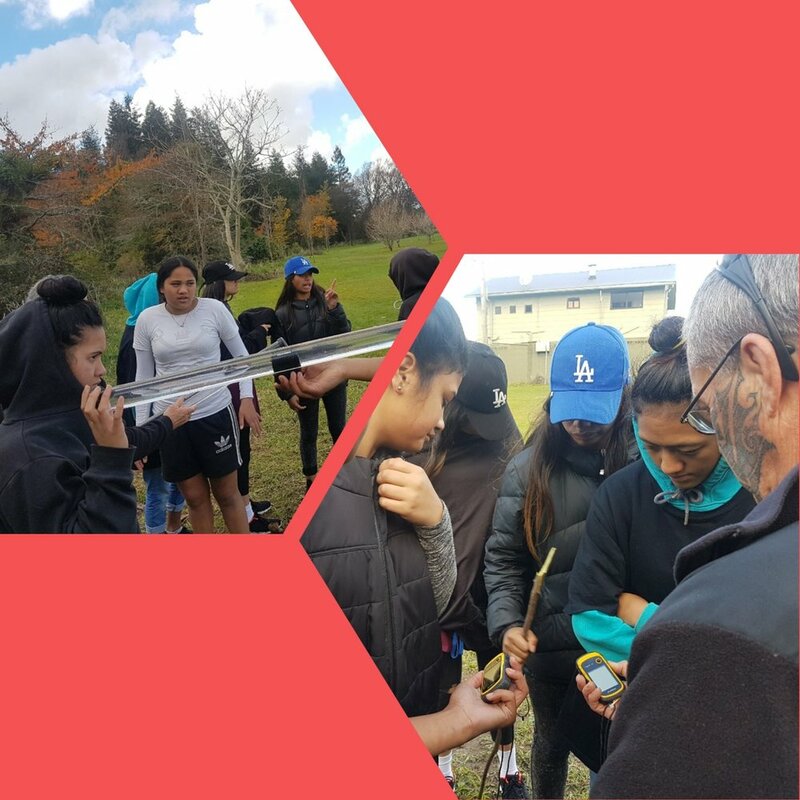 Students from Rotorua's Alternative education centre revisited the Utuhina river for a follow up field trip focusing on measuring water clarity and learning how to utilise a GPS system. Joined by Mikaera Miru,Project Manager of Te Uri o Hau cultural education programmes, Mikaera brought a rich cultural heritage alongside his development of a NIWA estuary monitoring programme in engaging students in the science behind our rivers. NIWA reports that 'water clarity or turbidity is the cloudiness or haziness in a fluid caused by individual small particles (suspended solids)'. Cloudy water that may be green or brown reduces the ability of fish to see prey and detect predators. Reduced light penetration - reduces or inhibits growth of aquatic plants and their ability to produce food and oxygen (DO) for species that depend on them'. Navigation and positioning are crucial activities in river science. Global Positioning System (GPS) is a worldwide radio-navigation system formed from a constellation of 24 satellites and their ground stations that can plot the exact locations on the rivers. Students utilised miniaturized systems to determine exact location of where they were at in their river quality testing and how to get to somewhere else for testing. A better map means higher accuracy with our results. Students created posters to communicate their findings and learnings to peers and whānau. Science communication is a complex activity as it represents more than simply converting the jargon of science to a wider audience. There are many aspects, each interrelated and diverse that have to be communicated in order for understanding to emerge to ordinary individuals. These youths utilised visual communication, art and design to share their knowledge to others in the hope that together their peers can join in our thrust to create a sustainable environment.